Understanding Central Europe. Marcin Moskalewicz and Wojciech Przybylski (eds). Routledge. 2017. Western scholars sometimes fail to embrace the full complexity of Central European political life. They apply Western theoretical frameworks to do this, which is a reasonable approach. However, these frameworks stop being explanatory beyond a certain point. They tend to overlook important details which are peculiar to the region and less common for Western Europe or North America. Moreover, comparatively few Western scholars can get themselves acquainted with the sources in local languages. Even if they do, they do not all grasp the shades of political meanings concealed ‘between the lines’. In other words, the same messages may sound very eloquent to regional scholars and less resonant for the rest of academia. 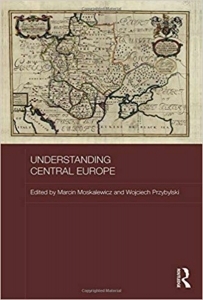 Understanding Central Europe is a collective attempt to introduce Western readers to the local academic and political discourses of the region. This is accomplished by 65 renowned scholars from Central Europe, and edited by Marcin Moskalewicz, Fellow at the Oxford Research Centre in Humanities, and Wojciech Przybylski, the Editor-in-Chief of the Visegrad Insight magazine. The volume comprises fifteen sections, each bringing together a series of essays that total 68 in all. They address issues of regional identity, geopolitical belonging, nationalist sentiment, participatory democracy, liberal values, civic society and more. Overall, the 590-page collection gives the impression of being an encyclopaedia on the region. Understanding Central Europe starts with a fundamental question: what is Central Europe and where do its borders lie? Attila Melegh argues that the region constitutes a transitional and fuzzy zone between the Eastern and Western poles. It is very much with the West politically, but lives in the shadows of a self-invented myth of Orientalism. The latter is understood as a distinctive set of behavioural principles opposed to those of the West, as well as the distinctive labelling of lands and peoples who reside to the east of the regional states. The implications of Orientalism can be observed in different phenomena: from the construction of centralised governmental hierarchies and the appraisal of informal practices to the ruthless eradication of the post-communist legacy or the anticipation of new strikes from Russia. The region thus is not ‘solid’, but rather a territory of shifting geopolitical affiliations. The identity of Central Europe was significantly shaped by its Europeanisation in the 1990s, often called ‘the transition’. This was a multifarious and multi-layered adaptation of the post-communist and post-Soviet states to Western European practices, regarded as the only appropriate ones for the whole of Europe. In other words, Europeanisation was a deliberate attempt to break away from the East, often perceived as usurper, and join the West, regardless of all the new challenges and flaws this could bring. According to Michał Wenzel, Europeanisation ended in 2004 with the ‘big bang’ EU expansion. Afterwards, revived ‘Eastern narrations’ gained ground again, with every regional state returning to its unique myth of Orientalism. This meant that some of the new ‘westernised’ EU member states started to perceive their neighbours as the ‘eastern states’; some claimed it was only Russia who is ‘the East’; a number portrayed themselves as ‘excessively eastern’ and proceeded with Westernisation at the domestic level; finally, some continued to regard Russia as the ‘eastern foe’, while others rushed to build up friendly relations with this soon-to-be ‘western power’. The versatility of perceptions of the East, alongside national self-perceptions as countries felt corroded or salved by Russia, led to a discord of regional geopolitical stances. Regardless of hopes, the Visegrad group of states – Poland, Hungary, the Czech Republic and Slovakia – failed to grow into the ‘heart’ of Central Europe. Since the very beginning, they agreed to build up a common GDP, but not a shared identity. This remains true up to now. 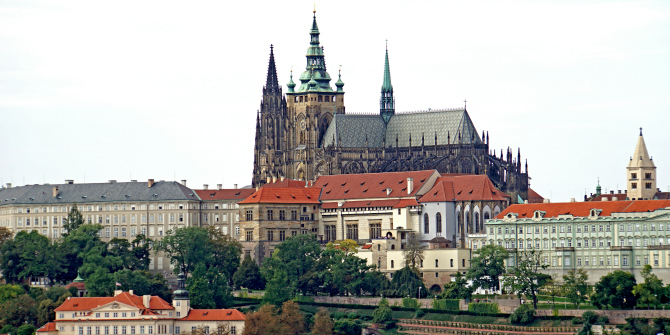 Understanding Central Europe also addresses regional nationalism, its roots and nature. All contributors agree that regional nationalism does not reflect indigenous attempts to construct the best functioning model of the state, but to challenge attempts to impose these models from the outside. The region continues to suffer from its historical traumas: for a long time, it was influenced by the great foreign empires, none of which were loved (apart from Hungary, which was an empire by itself). Thus, regional nationalism has a distinct emotional and heroic feel which alludes to the struggles from the past: the struggle which no one in the world, apart from those of the region, can fully comprehend. Regional nationalism is usually ethnocultural and ethnolinguistic. It favours one group of people, one language, one version of history, one religion and one understanding of foes. It is, at the same time, moderately aggressive. A very specific nation-centred worldview does not directly encourage nations to confront former bullies – today’s Eastern and Western partners – and restore ‘historical justice’ by all means necessary. Instead, as argued by Radosław Zenderowski, regional nationalism is oriented above all towards the rediscovery and refinement of indigenous identity. The collection also touches upon the cautious acceptance of liberal values in Central Europe; however, this is not as deeply elaborated as the section on nationalism. The rise of liberalism – or ‘proto-liberalism’, as Michał Warchała defines it – can be traced to the early 1980s when it was regarded as the proper ‘ideology’ to challenge communism. In the late 1980s, liberalism acquired an almost messianic meaning and became a synonym for ‘peerless’ Western democracy. However, the Europeanisation which followed, with its harsh social turbulences, threw liberalism into crisis, especially in Hungary and Slovakia. Liberals started being associated with new problems, not with better alternatives. In the light of this crisis of liberalism, the collection analyses civil society and participatory democracy, outlining waves of their rise and decline. Contemporary societies in most of the regional states seem to be tired of civic activism. Scepticism and mistrust have spread everywhere. Social leaders appear to use existing mechanisms for non-political goals, such as personal enrichment or satisfaction. In turn, participatory democracy also fails to attract much activism. People either do not believe in it, or do not know how to use it for political agenda-setting. Jan Grzymski concludes here that the whole notion of civil society became a jargon: a buzzword to ‘legitimise’ the squandering of foreign financial assistance and justify the gap between declared objectives and their miserable implementation by grassroots social leaders. Understanding Central Europe also addresses the issue of reconciliation with the past and tolerance for the communist leaders who remained in power. These are unique to each of the Central European states, making it hard to bring all of them under a common denominator. Furthermore, the collection focuses on the nature and sources of geopolitical power in the region, whether this comes from the EU, Russia or individual states. Specific attention is given to the relationship between regional actors and Brussels, as well as between the whole region and the EU. The latter helps to highlight the transformative effect of the EU in the 1990s, which is being criticised today. Finally, the collection addresses the impact of urban and rural landscapes on indigenous values, disagreement with European migration policies, the probability of regional consolidation in the future, as well as regional understandings of European solidarity. This solidarity, from the perspective of Central European states, is not about shared political values and administrative practices, but the recognition of national uniqueness and the equal distribution of wealth. To conclude, Understanding Central Europe sends a very powerful message: it is impossible to draw a clear-cut map of Central Europe today or to present the region as an integral entity because it remains fragmented at its core. The collection manifests that Central Europe is much more – and much more heterogenous – than a constellation of cities and borders on a map. This is delivered by numerous regional scholars from different states who aim to make Central European complexities more coherent to Western readers. Ostap Kushnir is Assistant Professor at Lazarski University, Poland. He holds an MA in Journalism from Odesa National Mechnikov University (Ukraine), an MA in International Relations from the University of Wales (UK) and a PhD from Nicolaus Copernicus University (Poland). His academic interests include geopolitical and boundary-forming processes in Central and Eastern Europe, specifically in the Black Sea region. He is the author of the bookUkraine and Russian Neo-Imperialism: The Divergent Break (2018). He is also a member of the editorial board of the Central European Journal of International and Security Studies(Czech Republic).